Are you in a difficult financial situation? Are you are struggling to pay your bills and debts? If you are suddenly hit with garnishment of your wages, you may be wondering how you’re supposed to pay bills you couldn’t afford before now that a big chunk of your paycheck is being seized by one of your creditors. You deserve to know your legal rights and what options may be available to you to prevent or stop garnishment of your wages or to get back money that’s already been taken out of your paycheck. The garnishment lawyers at Lawrence & Associates are ready to review your case with no up-front fees and guide you through the process of getting back to financial stability. The garnishment attorneys from Lawrence & Associates are highly respected in the local community and among our legal peers. We have extensive knowledge of and experience with highly complex garnishment, bankruptcy, and consumer credit laws. Our bankruptcy attorneys are rated by Super Lawyers, and hold a five-star rating with Avvo, receiving the Avvo Client’s Choice Award for 2016. We can put an end to garnishment of your wages through bankruptcy, with our attorneys filing over 100 successful bankruptcy actions each year. If your wages are subject to garnishment, contact the Northern Kentucky garnishment attorneys at Lawrence & Associates today for a consultation with no up-front legal fees charged to you by calling (513) 351-5997. Do I Need a Garnishment Lawyer? If you find yourself unable to pay your bills, the worst thing you can do is to ignore your financial problems and your creditors. They will eventually initiate a legal process to commence garnishment of your wages. If you are facing or are already subject to garnishment, you should immediately contact a garnishment lawyer. A garnishment lawyer can advise you as to your options for halting garnishment and achieving resolutions to prevent it in the future. Even if creditors are already garnishing your wages, it may be possible to reclaim that money. In any case, it will be exceedingly difficult to get any relief from garnishment without an experienced attorney by your side. Fighting against creditors and debt collectors is a draining process. And trying to pursue the legal remedies at your disposal can be daunting. Let an experienced garnishment attorney handle negotiating with your creditors, filing a bankruptcy petition on your behalf, and working to resolve your debts and give you a fresh start with the burdens of debt behind you. Contact the garnishment attorneys of Lawrence & Associates today to get started – there are no up-front fees for us to handle your case. Why Chose Lawrence & Associates to Handle My Garnishment Case? If you need an attorney in northern Kentucky to help you if you are being threatened with or are already subject to garnishment of your paycheck, you have many law firms to choose from. Not all lawyers are created equal – choosing the right lawyer and law firm can be critical to the outcome of your case. You need garnishment lawyers with the experience, track record, and focus on the client to give you the outcome you deserve. Our garnishment attorneys are extremely well-versed in the complex laws that govern garnishment and know the legal remedies at your disposal to prevent a threatened garnishment or stop an ongoing garnishment. We’ve helped numerous clients in the past stop creditors from garnishing their wages, either through careful negotiation with the creditors or by filing bankruptcy to halt all collection efforts. 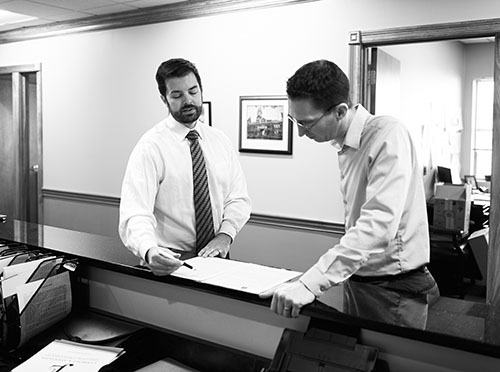 Our attorneys file over a hundred successful bankruptcies in Kentucky every year. Finally, as attorneys, we know that our job is to provide a service to you, the client. That’s why we focus on customer service and satisfaction. We strive to be on time for you and responsive to your every call and email, keeping you informed as to what’s going on in your case and what your legal options are. We work non-stop to get you the best outcome possible. No matter the reason why your wages are being garnished, we can advise of your options and potentially take steps to immediately stop the garnishment and work out a solution that avoids garnishment in the future. If you have questions about wage garnishment, our experienced bankruptcy attorneys have the answers you are looking for. We are available for a confidential consultation to discuss your specific situation, so call us now at (513) 351-5997. We’ve provided the answers to a few frequently asked questions below, so read more and contact us as soon as you can. How do I get creditors to stop garnishing my wages? Garnishment of your wages typically turns your precarious financial situation into an even more dire one. You should immediately contact the garnishment attorneys at Lawrence & Associates to begin the steps to stopping garnishment. In some cases, we may be able to work out an arrangement with your creditor. However, in many other cases, it is necessary to file for bankruptcy on your behalf. Filing for bankruptcy automatically prevents creditors from garnishing your wages during the bankruptcy proceedings. What is an automatic bankruptcy stay? When you file for Chapter 7 or Chapter 13 bankruptcy, the court imposes what is known as an “automatic stay” on all efforts to collect debts you owe. That means your creditors must stop attempting to contact you to collect debts, must cease all garnishment of your wages, and can only attempt to collect on your debt through the bankruptcy court. The primary difference between Chapter 7 and Chapter 13 bankruptcy is between completely discharging your debts and setting up a payment plan to pay off your debts. Under a Chapter 7 bankruptcy, most of or all your debts are discharged. However, to do so, the bankruptcy court will give your assets over to a trustee, who is authorized to sell or liquidate non-exempt assets to raise funds to pay your creditors. In a Chapter 13 bankruptcy, the bankruptcy court works out payment plans with your creditors, who often agree to accept pennies on the dollar of the debts you owe. But in Chapter 13 bankruptcy you typically get to keep most of your assets. The bankruptcy court will determine which type of bankruptcy you qualify for. If the court determines you have sufficient income to meet a payment plan, you will typically be directed into a Chapter 13 bankruptcy. If you’ve gone through Chapter 7 bankruptcies in the past, you may also be deemed ineligible for another Chapter 7 bankruptcy. What does it cost to hire a garnishment attorney? When you hire the garnishment attorneys of Lawrence & Associates , you pay us no up-front attorneys. We get to work helping to stop your creditors from continuing to garnish your wages. Your best chance to stop creditors from taking money out of your paycheck is to contact us immediately so that we can take swift legal action to stop the garnishment. How long will it take to resolve my debts? The garnishment attorneys at Lawrence & Associates will work diligently and efficiently to get your debts resolved and give you a fresh start. In some cases, we may be able to quickly work out a resolution with a creditor that is garnishing your wages. However, it may be necessary to file for bankruptcy protection on your behalf to stop all collection efforts and come up with a plan to resolve your debts. Many of the bankruptcy cases we handle are resolved within three to five months, leading either to a discharge of debts or a payment plan to pay off your debts. Kentucky law limits the amount that creditors can garnish or take from your wages. Kentucky law follows the federal wage garnishment law. Typically, creditors who obtain judgments on your debts can only take up to 25 percent of your wages. ADP reports that, in 2013, 7.2 percent of employees had their wages garnished at some point during the year. The plurality of employees with garnished wages, 41.5 percent, were subject to garnishment for child support. Another 18.3 percent were subject to garnishment for taxes, while another 4.9 percent were being garnished according to bankruptcy orders. However, the remaining 35.4 percent of employees had their wages garnished for all other reasons – typically, to pay off consumer debts or medical bills. We know that people who have their wages subject to garnishment are already in serious financial trouble. Having a significant portion of one’s wages deducted to pay off a creditor only turns your serious financial situation into a critical one, potentially leaving you unable to pay your other bills or to put a roof over your head, clothes on your back, and food on the table for you and your family. We know the extreme stress garnishment places on you. That is why the garnishment attorneys of Lawrence & Associates aggressively work to stop the garnishment and collection efforts, put your financial situation back on track, and give you a fresh start. If your wages are being garnished, don’t wait another day to act. Contact the Northern Kentucky garnishment attorneys at Lawrence & Associates at (513) 351-5997 today. You will pay us no up-front attorney fees to have us start to fight for you.